Today at 1pm, Toronto High School students Lochlan Maher, Coby Howarth, Skye-Ann Anderson, Kayleb Bennet & Toby Adams completed a two-week trek of the Great North Walk. 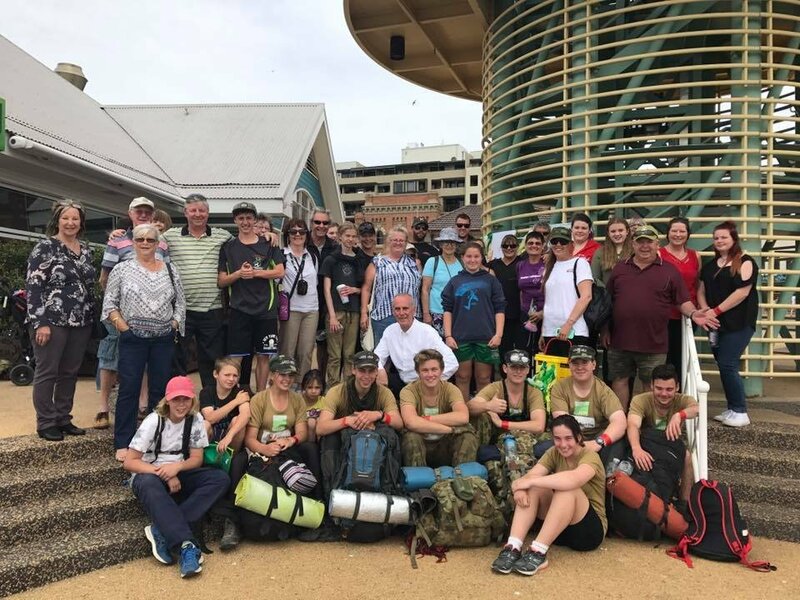 They did this amazing unassisted walk to raise money for the Black Dog Institute raising awareness of the scourge of depression and other mental health problems. Towards the end of their journey, they received the tragic news that fellow student and friend, Jade Finn from Wangi Wangi, was killed in a traffic accident while travelling with her family near Port Macquarie. These young people, along with their support team, are an inspiration and show us that there are fabulous young leaders stepping up to take responsibility for making their community a better place. I understand that they have raised well over $8000 for their efforts! Congratulations guys. Thanks for what you have done. By the way, I am very pleased to have accepted the challenge and doubled my donation to $500!